We don't really have fall here and I miss it. 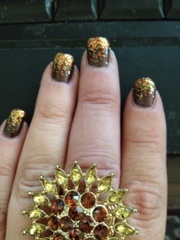 So I decided to do my nails to give me that fall feeling. 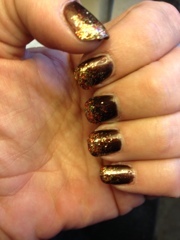 I did 2 coats of Nina Ultra Pro in Maple Syrup then did the tips in Pumpkin Spice by Sinful Colors. I love the way they sparkle in the sunlight.